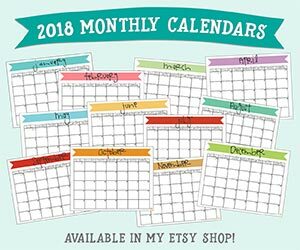 let’s keep the general conference inspiration going with another great giveaway! Elder Henry B. Eyring is such a great speaker, always giving thoughtful and insightful words about things that would help anyone, anywhere, to become a more faithful follower of Christ. he his known for his emotional and testimony-filled talks, as someone who has a sure knowledge of his Savior. and as nice as it is to hear him speak, it is just as enjoyable to read his words. he recently wrote a book called, Choose Higher Ground, which highlights several of his talks. 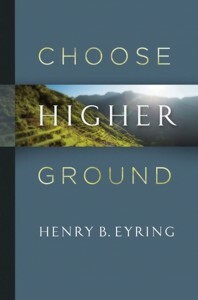 if you’re wondering what the title means, he tells us in this book that when he was young and would “complain that things were hard, his mother would advise him, ‘ If you are on the right path, it will always be uphill.’ To choose the Lord’s way is to choose higher ground.” and so this book gives us encouragement by providing many ways for us to endure and get back to God even thought the hill may be steep. it is a book for everyone – from all walks of life and all circumstances and from all levels of faith. there are a total of 25 talks under these 5 categories: “A Strong Foundation,” “Personal Growth through Helping Others,” “Strength in Adversity,” “Power to Live a Consecrated Life,” and “Help for the Last Days.” all of these areas cover times in our lives that each one of us will pass through. by studying this book we are better able to know how to get through these times with a strong testimony and with a resolve to endure them well. one of my favorite passages deals with receiving revelation through reading the scriptures. this really rang true to me because even though i’ve never pinpointed it like this before, upon reflection i realized that i used to read the scriptures when i was younger, but would literally just read the words and perhaps catch a meaning or two. then i started to study them – actively trying to understand the stories and what certain verses meant. and it wasn’t until i started pondering them that i began to develop my testimony of them – when i began to think about more than what was literally written on the pages; when i thought about their teachings and how the apply to me personally, and also how they apply to my role in the bigger picture. and having learned more and more through pondering the scriptures i’ve come to better understand my Savior and what He has done and continues to do for me. this knowledge helps me to get through trials in my life – as simple or as difficult as they may be – and helps me to have better faith. there will be times in my life when i will need revelation, and by learning to recognize it through the scriptures will be a great strength to me. to get back to god will require us to climb and move uphill. but we are not alone in this journey. by reading this book, you will receive counsel, advice and insights that will help you to endure adversities and overcome challenges that will help you reach your destination. for a chance at winning a copy of this amazing book, follow the easy entry options below. the more entries you complete, the better your chances are of winning! thanks for the chance. i know we shouldn’t have favorites, but i really love president eyring. Oh and Pres. Uchtdorf is probably my favorite to listen to!